Prior to joining Compass, Scott worked in the financial services industry with SunTrust Bank in multiple roles for over 13 years. Most recently, he oversaw the Medical Specialty Group in NC. He has in-depth knowledge around strategic finance and is a Certified Financial Planner. He brings a unique investment outlook perspective when evaluating opportunities for Compass while also assisting physicians, hospital systems, and existing ASC’s in this same capacity. 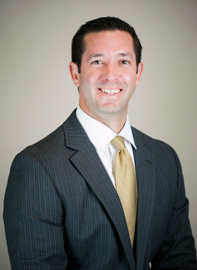 Scott earned his Master’s degree in Business Administration, with a Finance concentration, from Campbell University.